Play if… you think blindfolds are a great way to get the, um, adrenaline pumping. Avoid if… the sight of even your own blood makes you faint. Description (from the company website): The kidnapping begins with you and your fellow captives waking up handcuffed and blindfolded in a strange room. With nothing but collective brainpower, hidden clues and 60 minutes on your side, you have to free yourselves before the kidnapper returns. A heart-pumping thriller from start to finish, you can expect a rush of non-stop fun. Staging Area: a large lobby with couches and chairs, a water cooler, and a camera kiosk. Metro Access/Parking: West Falls Church Metro, then a .7 mile walk (about 17 minutes). Location has ample parking out front. Description of the room: A dark room with a cot and a number of pieces of furniture. It looks like a lot of people spent a short amount of time here. 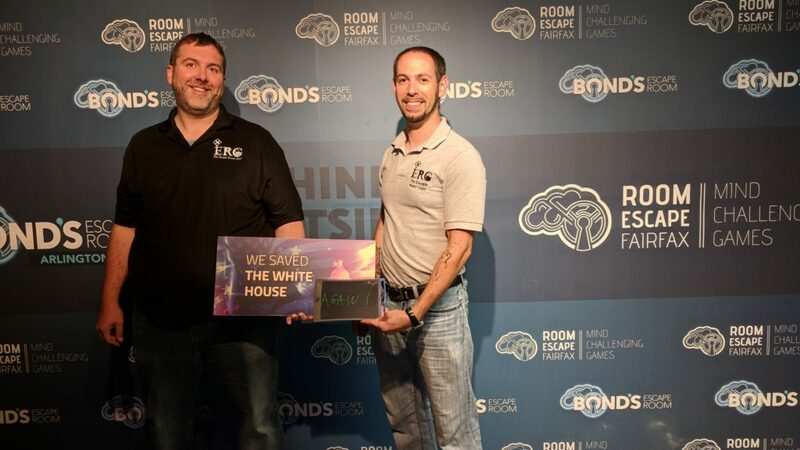 Understanding of the Mission: Escape the blindfolds and handcuffs, and then solve the murders to find the key to escape the room. Our Suggested Party Size: Okay, so we actually had 8 because we bought a Groupon, but their suggested size of 7 will work if you have a few newbies in the room. If all of your team has done a few rooms, then 5-6 should suffice. Members of our team (other than the ERG): Wayne, Corey, Brittany, Heather, Mark and Katheryn. 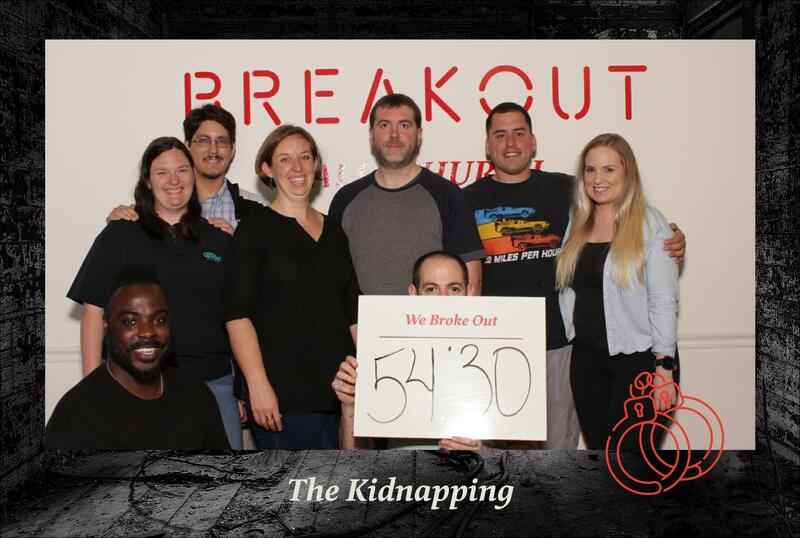 Team Disturbed Friends (Wayne, Brittany, Corey, Heather, Mike, Jason, Mark and Katheryn) outwitted their kidnappers and solved the serial murders. Photo courtesy of Breakout Games DC’s Facebook page. Where to Eat/Drink Before/After: It was later at night, so we didn’t go out. There are a number of places in Falls Church, so use Google.